Now that the first stage of the Club-house Redevelopment, Shade Sails and Lifeguard Courtyard, is complete, it is timely to remind ourselves of the second stage. There is a lot in the second stage which may be undertaken in two steps. The first step, which we hope to be undertaken mainly by members with some carpentry skills, is to uplift all the existing flooring in the hall, bar and main passageway. The current particle board floor has had at least three sanding’s over time and with decay on the under-side its structural strength has declined. It is to be replaced with exterior grade ply which will be much more durable for our environment. Some work on a few foundation piles is known to be required. Dates for the member’s action weekend will be advised in a later ToaLine. The second step involves increasing the lounge area for the lifeguards, creating a new storage area and refurbishing the northern existing bunk room. A replacement bunk room will be built where the existing office and old chillier room are. The main kitchen is to be rebuilt, including a commercial extraction system. The bulk store for the bar will be re-positioned directly behind the bar which will also have updating work under-taken. The existing flat ceilings in the Lifeguard kitchen/lounge, bunk rooms and bar are to be replaced with sloping ceilings to improve air circulation. 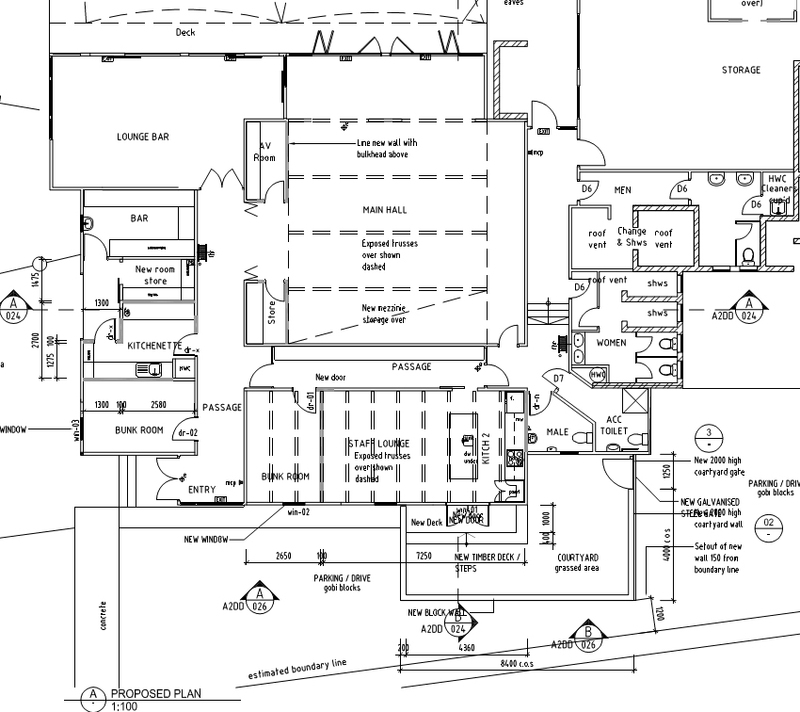 A dedicated office, small AV area and storage facility will be built into a corner of the hall. Due to most of step two works elements having interdependence on each other they will need to be completed as one project. To bring the Clubhouse up to current regulatory requirements there are a number of fire compliance items required, including an automatic smoke curtain for the hall/passage access, new smoke control doors, emergency exits for the bunkrooms, automated smoke alarms and an upgrade in the fire alarm system. We will also look at a potential upgrade of the security system. Works to date covering design, engineering, consents and stage one construction are now complete which has been covered by the Club funds and a donation by Hauraki District Council for the consents and RMS for a boundary survey. Stage two has been estimated (fully costed) at around $150,000 with some extra for furnishings to complete our new look. A major portion of the outstanding work requires fundraising to allow its completion. Further information with be provided in future ToaLine updates.